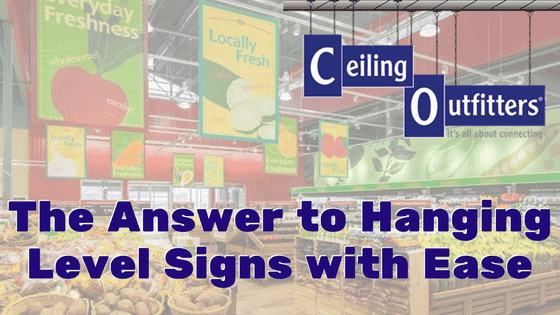 Traditionally, there has been no easy method when hanging signs and decor from the ceiling. 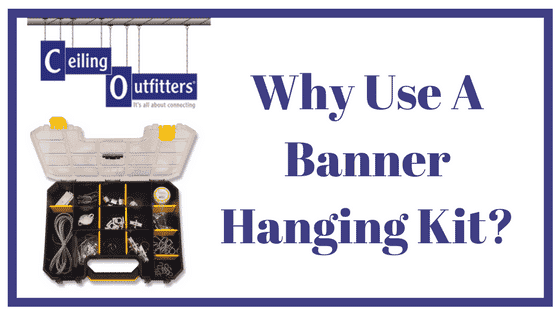 Hassling with tangled cords, levels, ladders, and lifts makes the process of hanging and changing signs notoriously difficult and time-consuming. 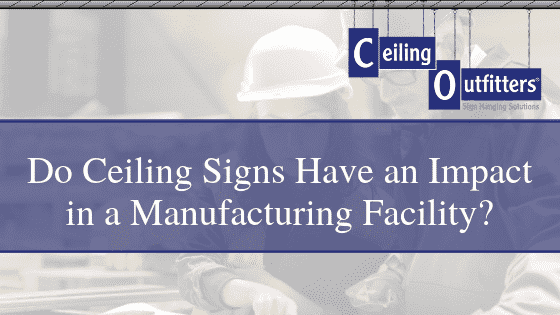 Ceiling Outfitters provides ceiling sign-hanging solutions that are a quick, easy and safe way to hang ceiling signs. The ClikMagnet™, a main component of the Clik-Clik™ Magnetic Sign Hanging System, makes it possible to hang ceiling signs with ease. ClikMagnets are small, very powerful, permanent ceiling magnets that naturally resist demagnetization. They firmly and reliably connect to any metal surface with steel content, including drop and open-beam ceilings. However, when it’s time to move the sign, the ClikMagnet detaches with minimal effort. The Mini ClikMagnet™ is the smallest ceiling magnet option and is perfect for very lightweight signs and decorations. It is offered in a silver chrome with a single ring and has a 3 pound (1.4 Kilogram) magnetic pull. The Regular ClikMagnet™ is a small 1 ¾ inch, powerful tool. It is equipped with a single chrome ring. Offered in both white and black, it easily blends into colored ceilings for a nearly invisible connection. The Regular ClikMagnet has a 5 pound (2.3 kilogram) magnetic pull, perfect for lightweight articles. The Super ClikMagnet™ is also offered in your choice of white or black. This magnet is ideal for heavier items, including mid-weight signs, fabrics and heavier ceiling displays. These stronger ceiling magnets come with two chrome rings and an impressive 10 pound (4.5 kilogram) magnetic pull. The Round ClikMagnet™ is designed for use with the FlatHat™ system, for hanging signs from extra tall ceilings. It’s also a popular stand-alone ceiling magnet. Available in a white plastic case, the Round Blue ClikMagnet has a 10 pound (4.5 kilogram) magnetic pull. The Round Red is the strongest of the ceiling magnets, with a 20 pound (9.1 kilogram) magnetic pull. ClikMagnets have proved to be the ideal replacement for conventional ceiling clips, which are unsightly, can damage ceiling tile and are difficult to install. Retailers, grocers, manufacturers, event planners, and more, testify that Clik-Clik ceiling magnets are nifty devices that make a world of difference in the sign hanging process. Installation with the ClikMagnet is safe and easy when using the entire Clik-Clik system, including LoopLine™, the MagPole™, and the MagMover™. 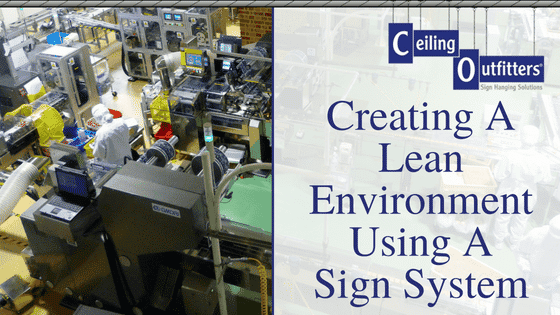 To begin installation, you must first connect LoopLine to both the ClikMagnet and then the sign. Next, place the ClikMagnet with LoopLine attached into the post of the MagMover, which screws on to the end of a MagPole. Extend the pole to position the sign and magnets in a preferential location for the greatest visibility of the ceiling display. To remove the sign and ceiling magnets, swing out the corkscrew on the MagMover. Extend the MagPole, insert the corkscrew into the chrome ring on the ceiling magnet and pull. With the Clik-Clik Magnetic Sign Hanging system, you never have to deal with the hassle of getting out and using a ladder or lifts again. 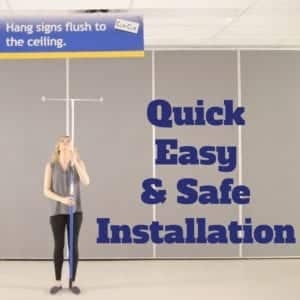 Hanging signs has never been this easy. 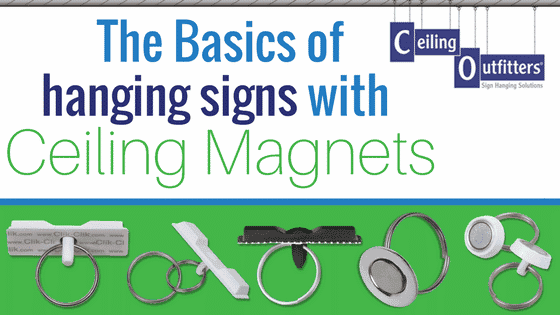 To learn more about the Clik-Clik Magnetic Hanging System and to get started with ClikMagnets today, browse our online store or contact Ceiling Outfitters at (972) 588-1555.